SHOCK reviews the eerie found footage mock-doc POPULATION ZERO. True crime documentaries are certainly en vogue at the moment, and Julian T. Pinder and Adam Levins have certainly delivered with their reconnaissance into a disturbing loophole in constitutional law that ultimately enabled a North Dakota man to walk consequence free after shooting three young campers in cold blood. Often times times documentaries can result in an anti-climax, when the film-makers fall short of finding anything shocking, perhaps why THE JINX was such a huge hit, primarily becoming the evidence for a confession from a serial killer. For this reason POPULATION ZERO appears to be an accomplishment. Not only do the documentarians shed light on an insanely disturbing hole in the American constitution, they themselves seemingly become the target of the wrath of the documentaries focus, and without spoiling it for potential viewers, an incredibly dramatic and gruesome climax. Pinder, a steely-eyed Vincent Gallo type with a keen sense of style, receives a mysterious email entailing the details of a disturbing murder that happened in 2009. It relayed how three young men were shot in a remote part of Yellowstone Park, and only three hours after the brutal attacks, the culprit, Dwayne Nelson, confessed to the crimes as though he were reciting a parking ticket. Despite Nelsons forthright admission, he bore no consequences. What really piqued Pinders interest was the reasoning behind Nelsons status of freedom. The murders occurred in what is referred to as The Zone Of Death, a 50 square mile area of Yellowstone that falls beyond the Wyoming border in Idaho. According to the sixth amendment, if a crime is committed in an uninhabited area of land, a jury cannot be procured. Due to the amendment jurors must reside in the region that the crime took place. Without a jury, a valid trial cannot be heard and the accused walks free. The Zone of Death is such a place. Pinders insatiable desire to uncover the motives behind such a heinous and cold blooded act, as well as how on earth a loophole in constitutional law could allow a dangerous murderer to roam free, send him on a trek to Yellowstone and its surrounding areas. Along the way, Pinder and his cinematographer interview grieving family members, and various people attached to the situation. Somewhere along the way, Pinder becomes embroiled in the story himself when he starts to receive alarmingly terrifying pieces of evidence and information. It is at this point that the film takes on a cat-and-mouse type direction, at one point one of the film-makers is intimidated to the point of wanting to leave the project altogether. Cinematically produced, the film has a beautiful sheen rarely seen in documentaries of this nature. 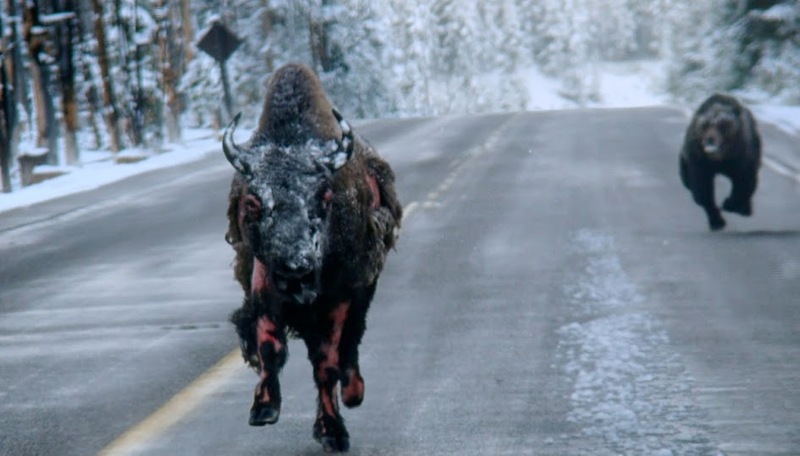 The cinematographer making use of the stunning vistas of Yellowstone, and its natural beauty and wandering Bison. Deliberately lit interviews, superbly executed production qualities and a suspiciously handsome narrator, made this writer start to wonder about the validity of the actual story. Like when it becomes apparent that something deemed as reality is revealed to have some heavy scripting going on due to the ducks being lined so perfectly in a row, and surely a crime with such an unjust outcome would have sparked international outrage? But according to the film, this is just another conspiracy to sweep an otherwise failing system under the carpet. Upon further investigation and a decent navigation of google, one can discover that this case actually did not occur, but the concept may have been dreamt up after the film makers became aware of law professor Brian Kalts revelation about the concerning loophole in his 2005 Law Journal Article entitled The Perfect Crime. This fascinating and revealing concept is communicated as the ultimate expose with a story that grows and manifests into its own beast. Eerie imagery, building suspense and a cleverly executed sense of dread help move the film along from a standard doco to having the trimmings of a straight-up horror film. Although the films precise execution made for a well assembled and aesthetically pleasing film, it may perhaps be its one main down-fall. Occasionally some of the subjects interviewed, although convincing, did have a slight whiff of being acted. Perhaps If executed in a more realistic and gritty way, it may have been easier to not question the authenticity of the subject. 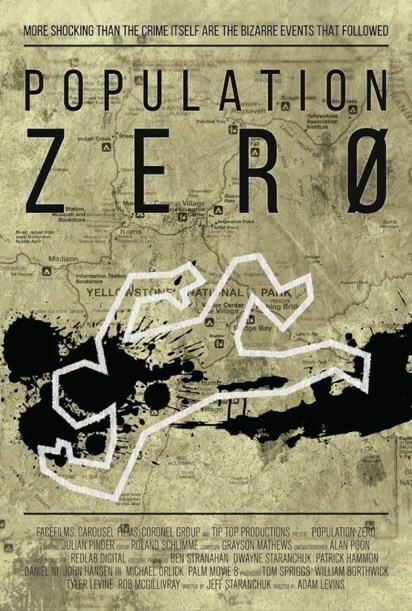 Knowing that POPULATION ZERO is a hypothetical scenario played out is immaterial. The question of whether the film is real or not is not the point. The point is that the federal government recognizes that there is a Zone of Death in one of its national Parks, making this film far more unsettling and disturbing than anything to spring from ones imagination.